Perfect for newlyweds, anniversaries or that special someone on Valentine's day. 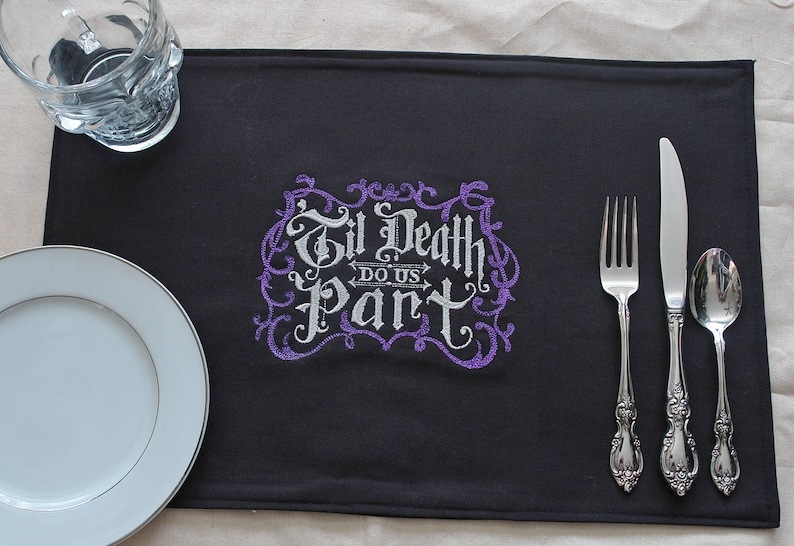 Till Death Do Us Part placemat adds a special element to your romantic or everyday meals. - Placemat is black canvas material to hold up to wear and tear. - The embroidered image uses professional embroidery thread. 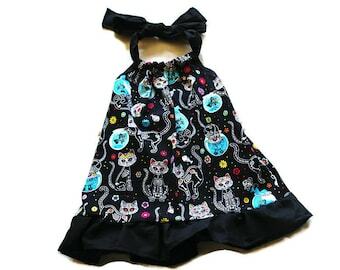 - Machine washable and can be ironed if gets wrinkled. - These placemats are larger than average placemats measuring approximately. 18″ wide and 11.75″ Tall. The larger size allows for utensils to sit on the placemat and off the table. 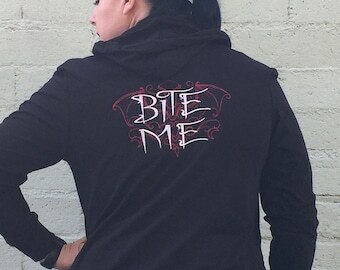 Custom sizes may be available. Please contact me for available customizations.